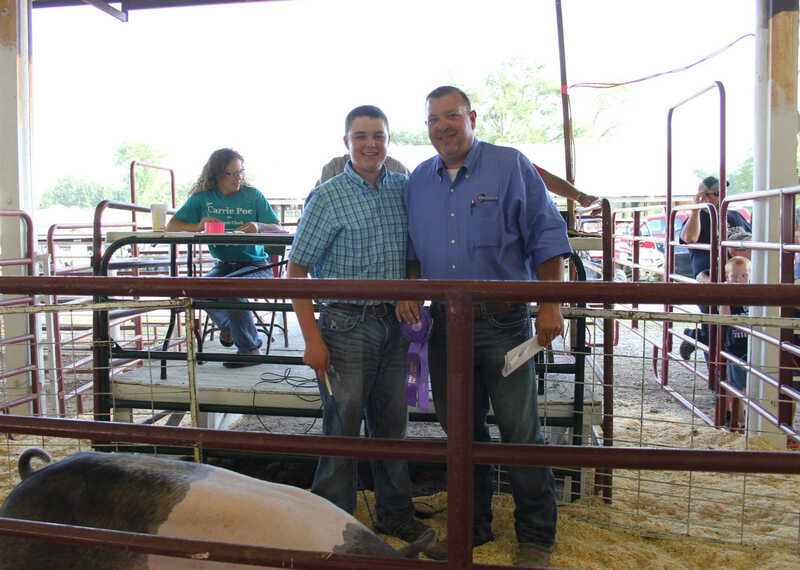 Doug Collard (right) buys the Grand Champion Market Barrow from Skyler Scotten (left) at the Vernon County Youth Fair auction on July 12. 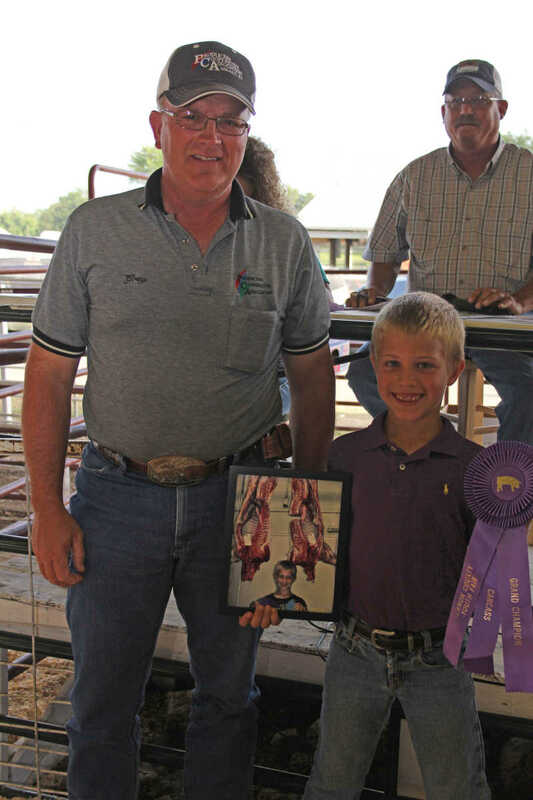 Greg Reynolds from Producers Coop in Gerard, Ks., buys the Grand Champion Carcass Market Barrow, from Brayden Gast, at the Vernon County Youth Fair auction on Saturday, July 12, 2012. 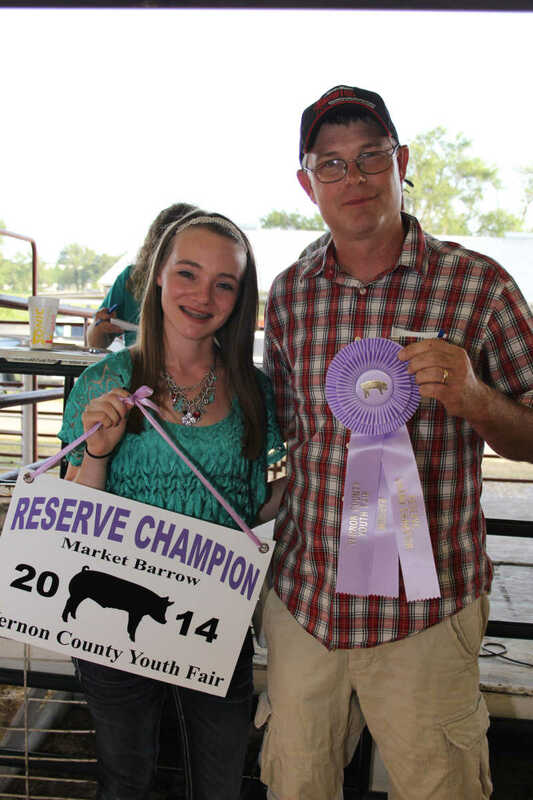 Jason Comstock of Comstock Farms purchases the Reserve Grand Champion (premium) from Hanna Miller at the Vernon County Youth Fair Livestock Auction on July 12 at the Fairgrounds. 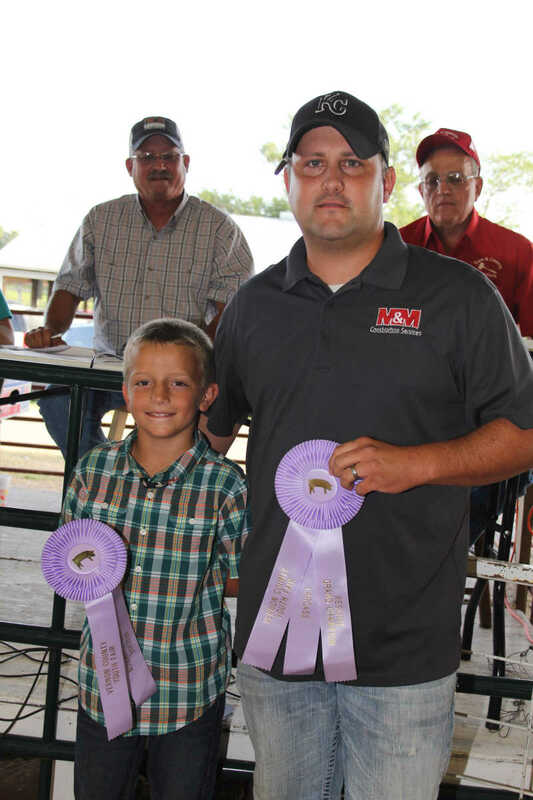 Marc Fritter of M&M Construction Services buys the Reserve Grand Champion Market Barrow from Luke Anderson at the Vernon County Livestock Auction on July 12. 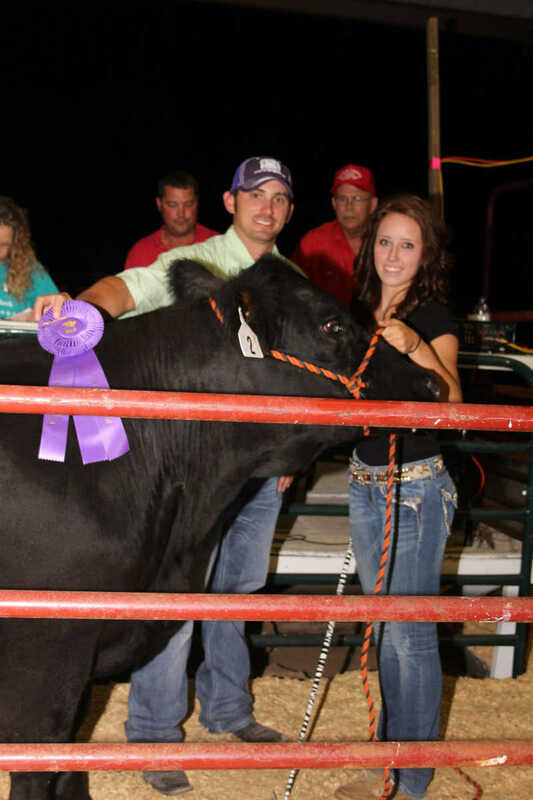 Kyle Fortner fof R&R Equipment purchases the Grand Champion Scan Beef Steer from Monica Gerken at the Vernon County Youth Fair Livestock Auction on July 12.